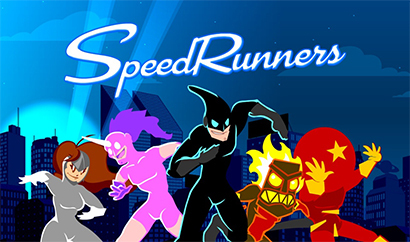 Developed by DoubleDutch Games and tinyBuild, SpeedRunners is a multiplayer racing video game, available for the Windows, Mac OS X, Linux, Xbox One, and PlayStation 4 operating systems. 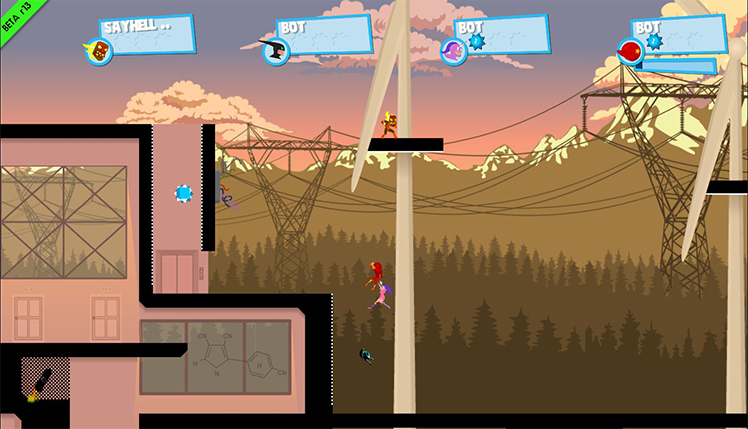 This video game is about a group of superheroes who are all trying to be the first one on the scene of a crime. 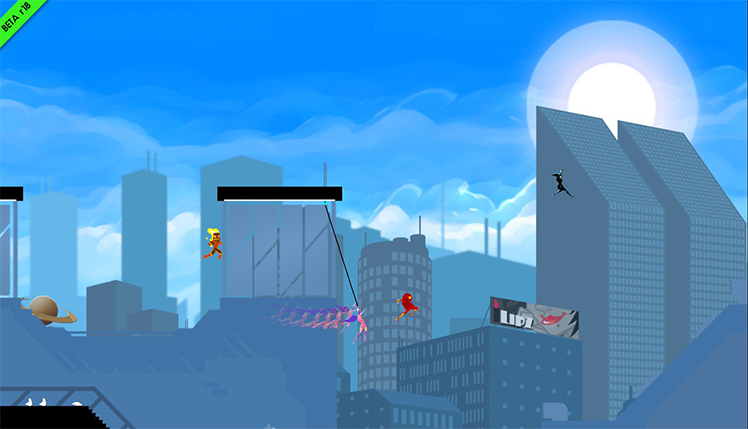 Sprint across a variety of cityscapes and win the race while competing against others! There are lots of ways that players take the lead and beat other competitors, as a variety of traps among other things. Keeping up with the player in front is the only way to stay on the screen. The race focuses on the first player. Anybody that falls behind will get left behind! Getting blown up or kicked off the screen also means players are out of the race for the round. Get ready for wild and fast-paced races that are unpredictable and full of fun! While the main focus of this game is multiplayer, there are tons of other game modes available. There is a campaign that users learn the background of their beloved city. 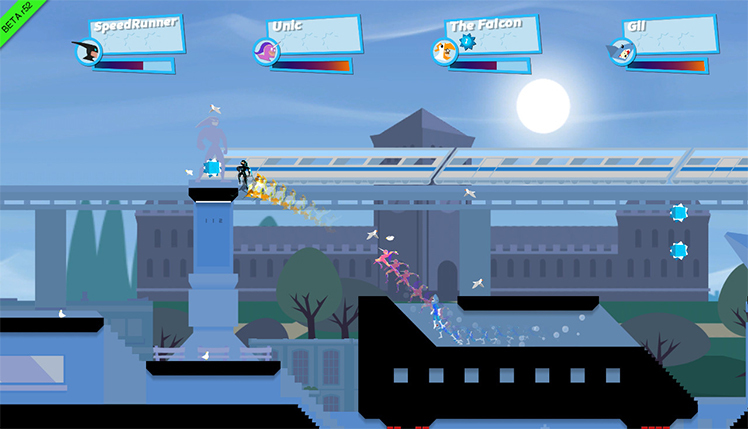 Additionally, a bot mode lets players practice their skills offline against a variety of different difficulties. Offline and online co-operative modes are both available. It's even possible to use them simultaneously. Have two players at home while playing online with two friends! However, these races aren't all about skills. There are countless weapons players wield against each other! 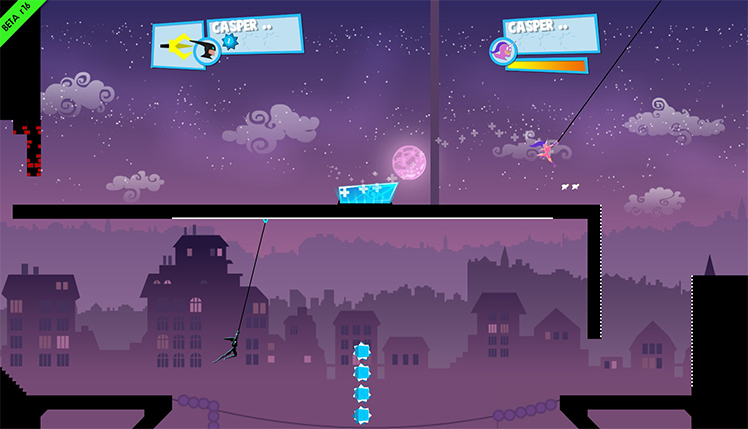 Use a grappling hook to swing between crumbling buildings, but also shoot it at other players and slow them down. Plant mines, shoot missiles, and countless other items. Keep up with the always moving screen at all times, though, or fall off and lose the race. If the dozen pre-made maps aren't enough for players, there's even a map-building tool. It allows users to create their own cityscapes, and play on them alone or publish them online. Build a truly crazy race track and then challenge friends! 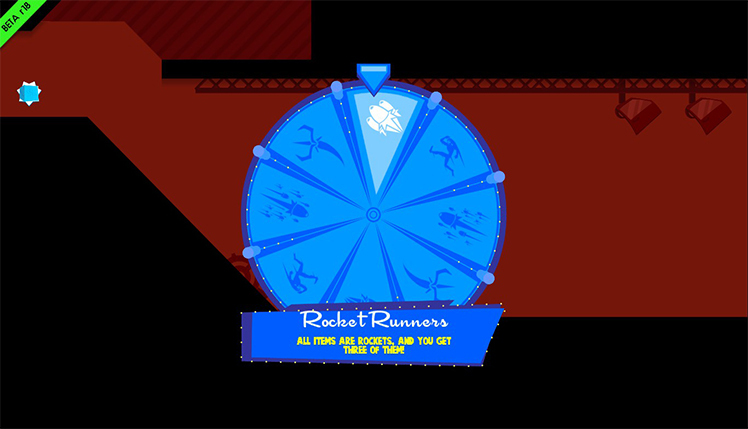 SpeedRunners is a racing video game with a unique twist on it. 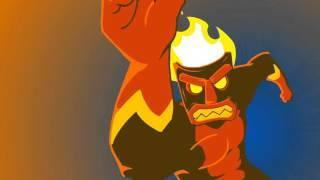 Players take on the mantle of superheroes, and speed towards the scene of a crime! 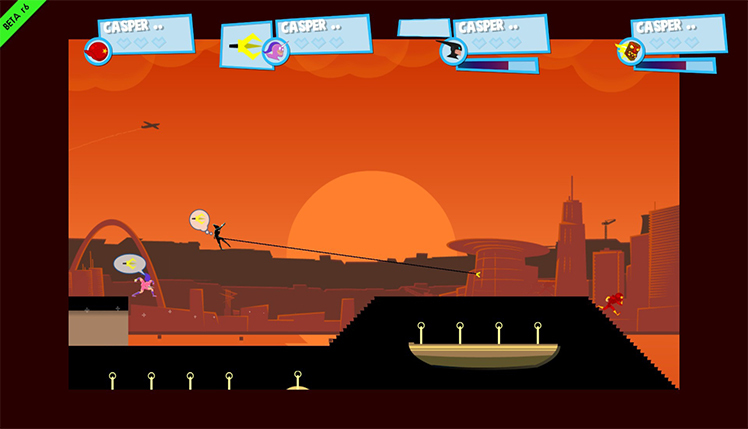 Compete against other superheroes, tripping them up using a variety of methods like traps and grappling hook shots. Keep up with first place! Otherwise, risk getting forced off the screen and therefore out of the race. 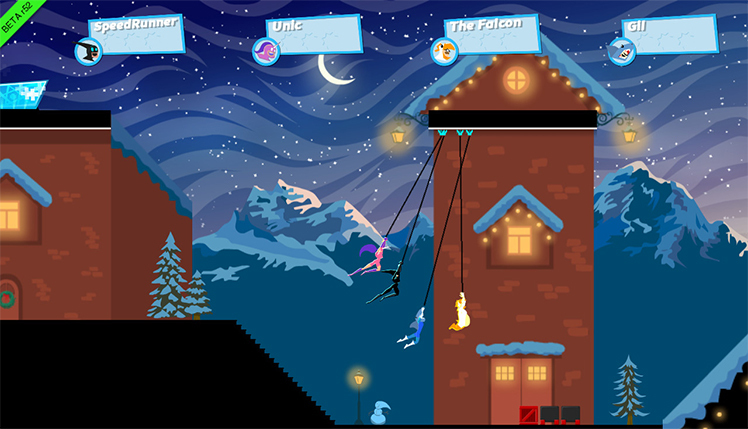 Compete on custom tracks or any of the pre-designed ones. Play online, offline, alone with bots, or together with friends. Customize a hero and choose a racing style that fits. Drop mines while leaving the competition in the dust, or grapple on shaky buildings to bring them tumbling down on other players. There are countless ways to enjoy this quirky racing game across lots of different platforms! 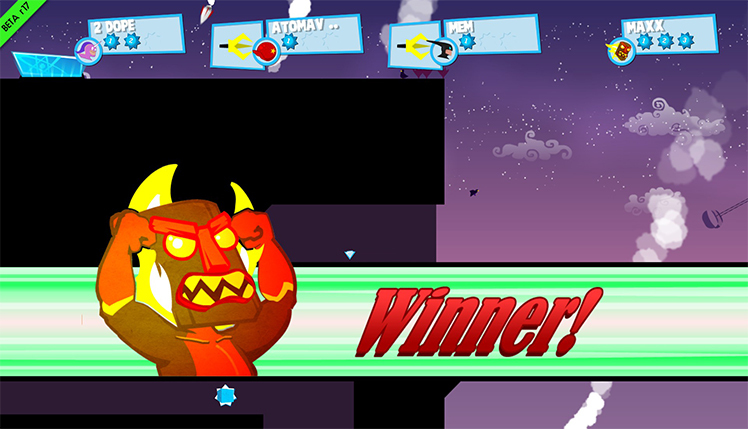 SpeedRunners is an ultra-competitive side-scrolling adventure! In a world full of superheroes, crime is extremely limited. Outrun, outmaneuver, and fight rivals to be the first one to the crime scene. 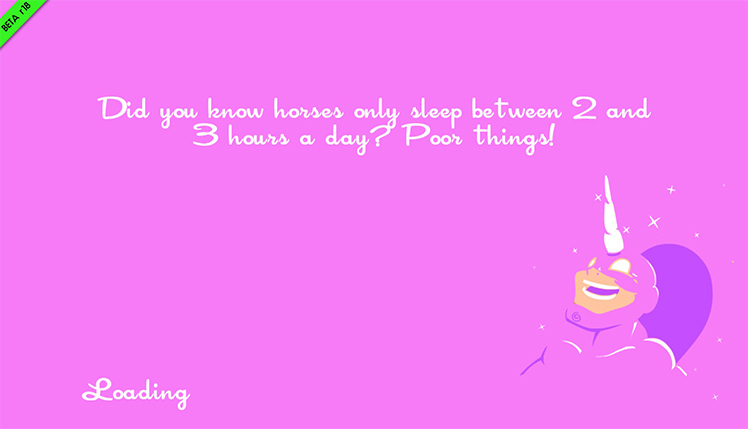 © 2018, DoubleDutch Games. DoubleDutch Games logo, SpeedRunners, the SpeedRunners logo, are trademarks or registered trademarks of DoubleDutch Games. in the United States of America and elsewhere. All rights reserved.